Governors are at the heart of how the school operates. If you want to contact the chair of governors or any other governor please leave a message or a letter at the school office and your request will be passed on to the relevant governor. The governors work closely with the headteacher and the senior leadership team to raise standards and ensure that the school has high expectations of all its pupils. The governors take a long-term strategic view and promote effective ways of teaching and learning when setting school aims and policies. In addition they appoint and performance manage the headteacher, agree the school improvement plan, set and monitor the budget and agree the staffing structure. They do this together with the headteacher, who is responsible for the day-to-day management and leadership of the school. At Lady Margaret Primary School, we are fortunate to have a very effective governing body, with many highly experienced, committed and knowledgeable governors. 1 Local Authority governor appointed by the London Borough of Ealing. I am very interested in children’s education and want to support the school as much as possible. I have two children attending the Lady Margaret School in year 2 and reception. I am very happy with the school, they have made good progress. As a parent I am passionate in my desire to help to achieve the best possible schooling experience for all children, to give them the best start and foundation for a happy and healthy life ahead. In my academic background I am a software engineer. I have done Masters in (IT). I have also worked in Education. I had been teaching IELTS (International English Language Testing System) for two years. Which helped me to build good communication and social skills. I am reliable, helpful and approachable, and will attend the governor meetings regularly, giving balanced and objective view. I will always support the school leadership where I am confident that best is being provided, however If I have doubts I will not hesitate to question. Brief statement: I am a 37 year old father of two, my daughter is currently in the year two (2). I work within the National Health Service (NHS) in London as a Head of Nursing and Associate Clinical Director of Safety and Security. I feel that I can cast an independent eye over the workings of the school and bring a fresh perspective to the work of the existing governors. I am familiar with governance structures within systems that allow for effective relaying of learning to the staff within and outside of the systems. I am an active participant of my Service Management Team (SMT) and often take lead in challenging, supporting and holding the service, staff and other partners to account within the specified key performance indicators. I am well versed in managing budgets and resources for in large services and performing within the budgets thresholds. Just like every other parent at Lady Margaret Primary School, I want the very best for my children. I want them to be happy, confident and become the very best they can be. As parents we need to support the school but when necessary we should also put the school under tough scrutiny. I am not afraid to ask difficult questions and I am used to speaking out and up for what is most important in a helpful way. Lady Margaret Primary School to me is already a super local school and just like everyone else, I want it to continue to succeed and improve further. The role of parent governor is a vastly responsible one and I would like an inside look at how things work and a chance to make a difference for the community. Brief Statement: I have worked in education for 20 years and was a headteacher for 12 years. 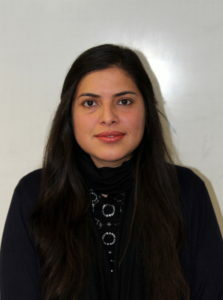 I currently work as a primary adviser in the London Borough of Hounslow. I have previously worked with a variety of local authorities, supporting schools with leadership issues, improving the quality of teaching and improving pupil outcomes. In this role I have actively worked with governing bodies and hope I can bring this experience to supporting Lady Margaret School with its future developments. Brief Statement: I am a headteacher of a primary school in Ealing. 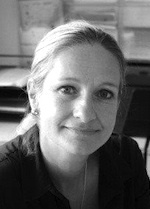 I have worked in education for 26 years as a head, senior leader and class teacher in 3 London boroughs. For 3 years I was the Principal Primary Adviser for Ealing and led the primary school improvement team. I have a lot of experience of governing bodies both as a member and by supporting schools. I have been a resident in the London Borough of Ealing for nearly 23 years. I believe schools should have high expectations of their children, parents and staff as pupils only have one chance to enable them to be successful in their future lives. I am looking forward to working with the governing body to challenge and support the school to improve further. Brief Statement: I work as a Learning Support Assistant at Lady Margaret Primary School and have four children, three of whom attend the school. I have a long history with Lady Margaret Primary School, having attended this school when I was younger. Being a governor leaves me with a feeling of pride and I am happy to be able to give something back to the school. 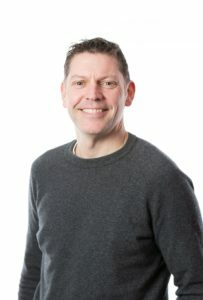 Dean is an expert in children’s activity and obesity and has 28 years’ experience in working with children, families and communities across a range of sectors, including education, leisure and health & fitness. As head of PE in a primary school he was disappointed at the lack of physical activity his pupils undertook during school holidays. Realising the effects of inactivity during the holidays, Dean started Fit For Sport weekend and holiday activity clubs for school children in 1991. These continue to operate (with over 100 activity camps nationwide) and Fit For Sport has evolved and grown dramatically. It now employs over 500 staff, supports over 200 schools, and engages over one million children through free school and family initiatives. Fit For Sport also trains 23% of the UK’s activity leaders. 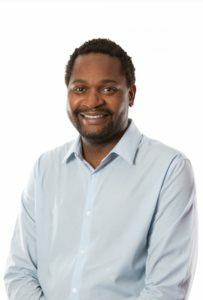 A firm believer that the journey to an active life begins with children, his overriding goal for Fit For Sport is to make a positive impact on the health of the nation by engaging and educating children and families through activity on the benefits of a healthy lifestyle. Dean also takes a leading role in championing children’s activity in the health and fitness industry. 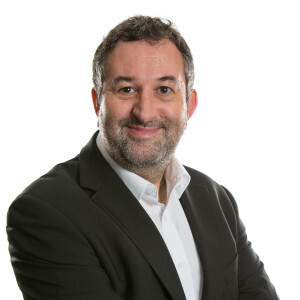 He sits on Membership Council on the industry trade association ukactive, and also chairs the ukactive Kids Board, helping to develop and promote initiatives to improve children’s activity levels and participation. Details of Governors who have previously served on the Governing Body in the last 12 months and have since resigned. Each term the full governing body meets. Each of the committees meet every term to concentrate on different areas of school life. All governors are asked to complete a declaration of interest form, and the table below is a compiled record of declarations submitted.